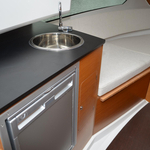 In 2016 has been built sailing boat Jeanneau Cap Camarat 7.5 WA named Jeanneau Cap Camarat 7.5 WA. 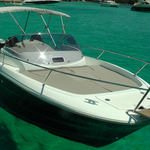 This sailboat is placed in base Trogir in surrounding area of Split in Croatia. 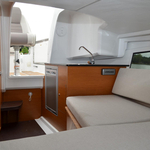 You can board up to 8 persons on the sailboat Jeanneau Cap Camarat 7.5 WA. 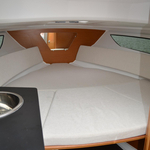 Arrangment of sleeping places is 8. 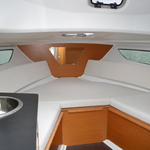 There are 1 cabins situated below sailboat's deck. 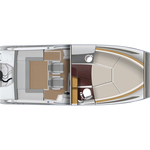 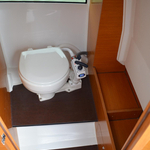 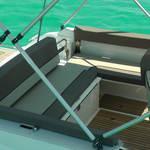 Jeanneau Cap Camarat 7.5 WA is equipped with 1 toilettes. 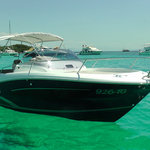 Check more vessels under this link: Motorboats Split. 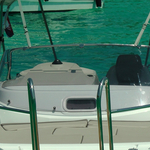 Diesel tank is 280.00 l l. big , water tank has up to 80.00 l liters. 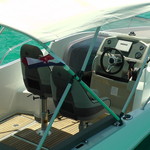 In this sailing boat there is engine 250 hp Honda. 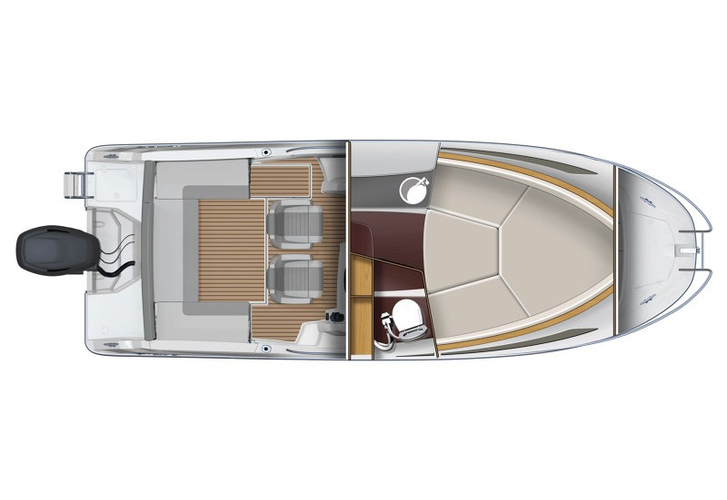 With 7.19 m of lenght overall and 2.54 m of width Jeanneau Cap Camarat 7.5 WA provides enough space for comfortable sailing. 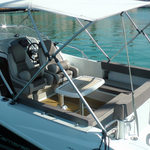 Jeanneau Cap Camarat 7.5 WA Jeanneau Cap Camarat 7.5 WA is equipped with: Bimini top, Gps plotter, Radio / cd player. . Security caution accounts for 1500.00 EUR. 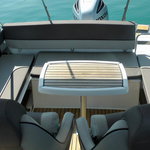 Read about more boats by moving to this section: Motorboats Trogir.